L to R: Dr Brian Babington, CEO, Families Australia; Natalie Lewis, CEO, QATSCIPP; The Hon. Michelle Landry MP, Assistant Minister for Children and Families; Simon Schrapel AM, Chief Executive, Uniting Communities. In welcoming today’s announcement by the Assistant Minister for Children and Families, the Hon. Michelle Landry MP, of the Fourth Action Plan (2018-2020) under the National Framework for Protecting Australia’s Children 2009-2020, Families Australia again underlined the need for greater national effort to tackle Australia’s alarming rates of child abuse and neglect. ‘The new action plan marks an important commitment by governments and the non-government and research sectors to continue their joint work to tackle the nation’s alarming rates of child abuse and neglect and to enhance children’s wellbeing,’ said Families Australia’s CEO, Dr Brian Babington. ‘The national challenge remains enormous in terms of achieving early and lasting improvements in child safety and wellbeing in Australia,’ he said. ‘Families Australia has called upon the nation’s political leaders to establish a long-term national child and family wellbeing policy framework after 2020 to guide actions that improve the lives of Australia’s families and children, particularly those experiencing the greatest disadvantage and marginalisation.’ Read more here. 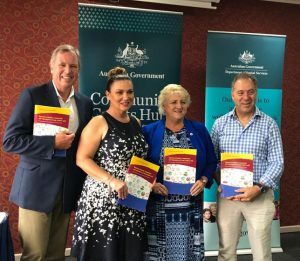 The National Framework for Protecting Australia’s Children is Australia’s first-ever plan to be endorsed by the Council of Australian Governments aimed at making a sustained and substantial reduction in child abuse and neglect and to enhance child wellbeing. To date National Framework’s achievements include developing National Out-of-Home Care Standards and National Child Safe Organisation Principles, establishing the office of the National Children’s Commissioner, and enhancing information-sharing about child safety and wellbeing across government jurisdictions. The National Framework is supported by the National Coalition on Child Safety and Wellbeing, a grouping of over 200 NGOs and researchers, coordinated by Families Australia, a peak, national, not-for-profit body that strives to improve the wellbeing of Australian families, especially those experiencing the greatest vulnerability and marginalisation.